The deepening political crisis in Italy on May 29 sparked a second day of heavy selling in European financial markets, pushing down the euro and stocks, while short-term borrowing costs surged for the government in Rome. 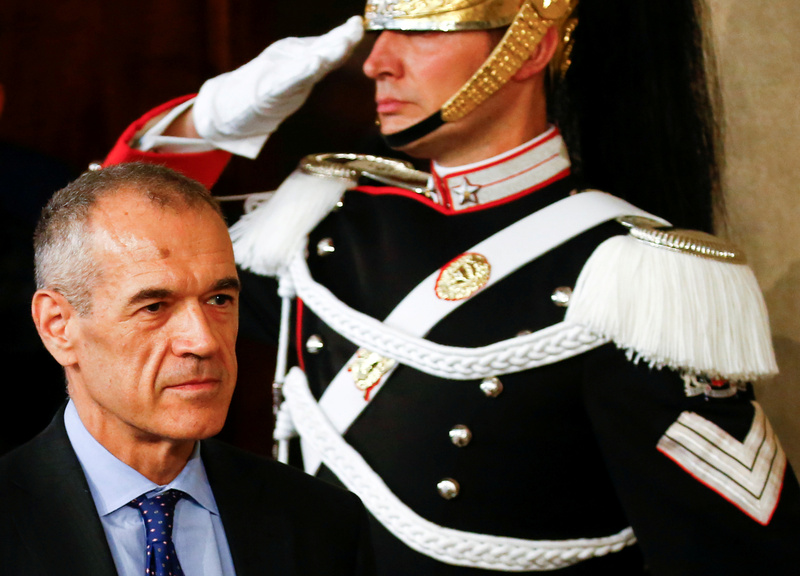 Italian prime minister designate Carlo Cottarelli, an unelected former International Monetary Fund official unaffiliated with any political party, is trying to form a government. However, he is unlikely to win a confidence vote in the Italian parliament, which is dominated by radical parties, and will only act as a caretaker premier until new elections likely to take place in September. Yields on Italian two-year government bonds soared more than 100 basis points to 2.28 percent by 0900 GMT on May 29, the highest level since mid-2013 and on course to register the biggest intraday jump in 25 years. The gap between Italian and German 10-year government bond yields widened to 314 basis points. Italian credit default swaps hit their highest level in more than four years on the prospect of new elections. Rating agency Moody’s said it was likely to downgrade Italy’s sovereign debt if the next government decided to pursue policies that failed to rein in the country’s 2.3 trillion euro debt.